Hi Renee! It was so fun looking at all of the amazing patterns and designs that other talented people came up with! I have made this cowl/scarf about 15 times in the last month: http://fiberflux.blogspot.com.au/2012/10/free-crochet-patternfiona-button-scarf.html I have made it as-is but I have also made it and just whipstiched the two ends together to make an infinity scarf. 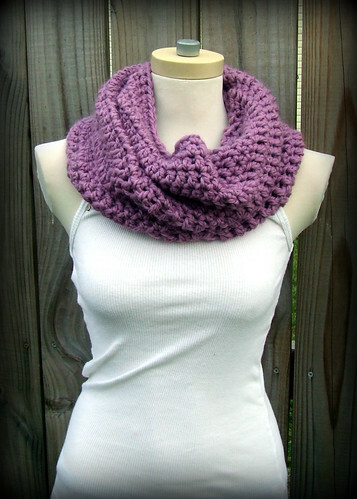 I love the baby cowl pattern. My sister is having twins in May, and those babies already have a pair of matching cowls waiting for them for next winter. Like twins really need my help to be cuter. LOL!! My sister's expecting a baby this April, so I'm sure we'll be seeing more baby patterns from me this year! Lucky you, you'll get to make two! Have fun browsing and try not to get lost!!! 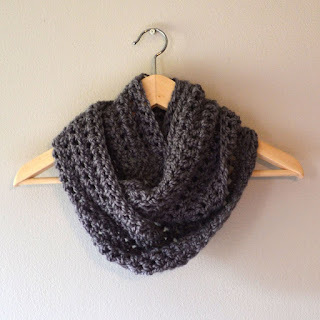 Looking for something like the buttoning baby cowl in a crochet pattern! U can email me at stevesgirl2469@hotmail.com if u know of any. Thanks! !